We're now on Facebook! Click on the link to see us build the NYFD Squad 18 firehouse. It's a step-by-step set of photographs of how we do what we do. See the latest products! Also, get coupons and discounts for all of our products. Z Scale is now available! Our truck is an O scale model. This is our Z scale White Castle. Check the new New York Firehouse. 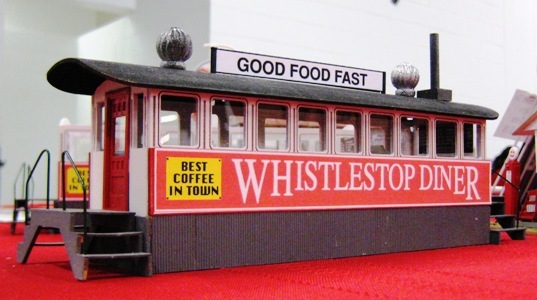 Order the Z scale products to the left in the "Z Scale kits for sale" section. 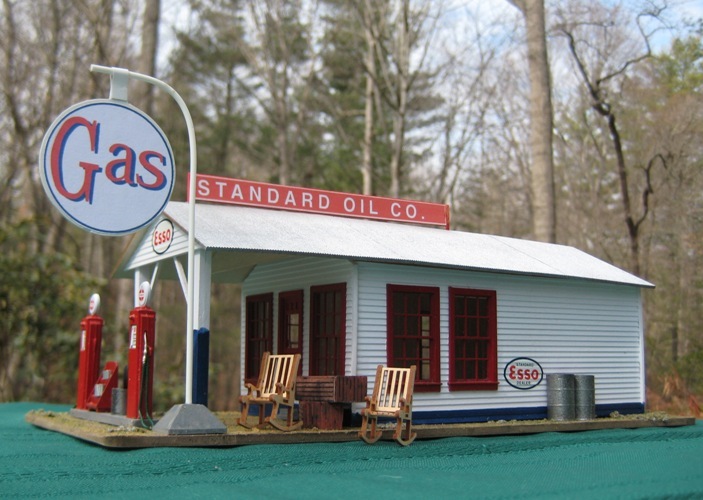 Available in O and S scale kits and models available! See our "Kits For Sale" and our "Built Models for Sale" sections! "The Classic! 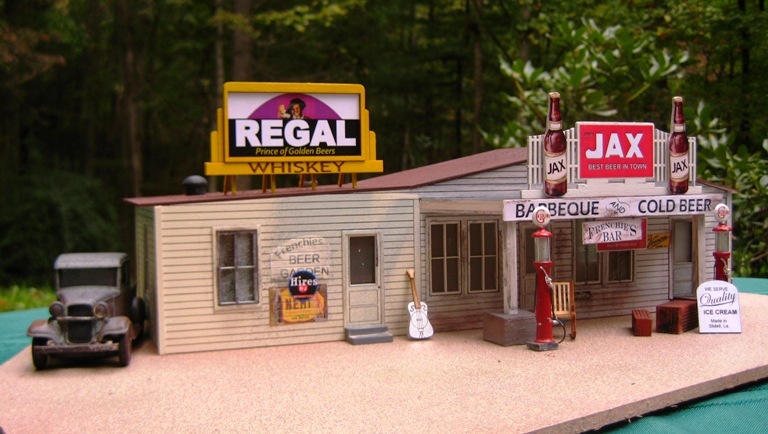 Gas Station/Grocery Store"
One of our finest kits! Buy in kit form or built up by us! You can choose what gasoline brand you want. Get more information.See our "Kits For Sale" and our "Built Models for Sale" sections! 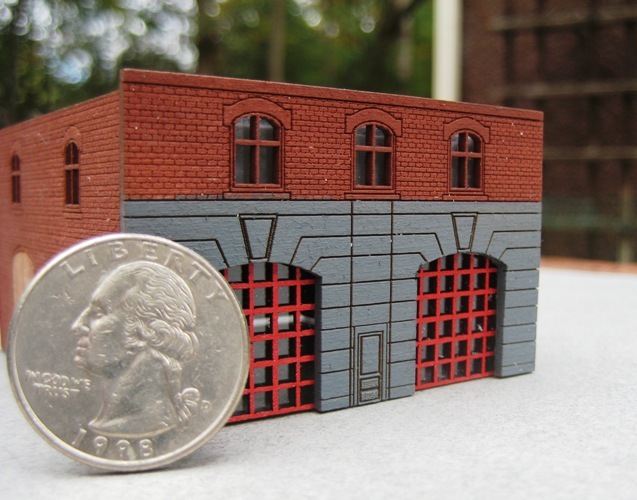 Measuring 11" x 3.5" (O Scale), we've added detail features inside the interior and body. That's not all! As well as kits, we sell them built in O, HO, and S Scales! See our "Built Models" page as well as the "Kits for Sale" sections. Twin Whistle is part of TW Laser Designs (www.twlaserdesigns.com). We have laser capabilities and provide new and exciting products at affordable prices.